Jaime Renato (Jim) is a founding partner of C&G Law. He was also its managing partner from February 2007 to February 2018. Jim has been cited as a leading Philippine lawyer in the Corporate/Commercial field by Chambers & Partners in its 2010 to 2018 Asia-Pacific publications, and in the Projects, Energy and Infrastructure space in its 2015 to 2018 publications. He has also been named as a leading lawyer in the M&A and Project Finance fields in the Philippines in the 2015 to 2018 editions of IFLR 1000. The Legal 500 Asia Pacific has recognized him as a leading lawyer in Real Estate and Construction and in Projects and Energy in its 2016 to 2018 publications. Advised a consortium of international banks that extended a US$650,000,000.00 facility to Therma Mobile, Inc. (a member of the Aboitiz group of companies) to finance the acquisition of an equity stake in GNPower Mariveles Coal Plant Ltd. Co. The acquisition was named M&A Deal of the Year and Philippine Deal of the Year by Asian Legal Business in 2017. 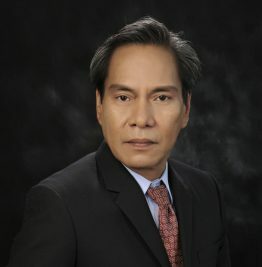 Led the Philippine legal team that advised the Philippine Statistics Authority (“PSA”) in the tender for the computerization of the civil registry functions of the PSA. Co-led the team that advised Ayala Healthcare Holdings, Inc. in the acquisition of a fifty percent interest in the Generika group of companies, a generics pharmacy, that broadened the Ayala group’s presence in the healthcare sector. Cited as a leading Philippine lawyer in the Corporate/Commercial field by Chambers & Partners in its 2010 to 2018 Asia-Pacific publications. Named as a leading lawyer in the M&A and Project Finance fields in the Philippines in its 2015 to 2018 editions of IFLR 1000. Recognized as a leading lawyer in Real Estate and Construction and in Projects and Energy by Legal 500 Asia Pacific in its 2016 to 2018 publications.